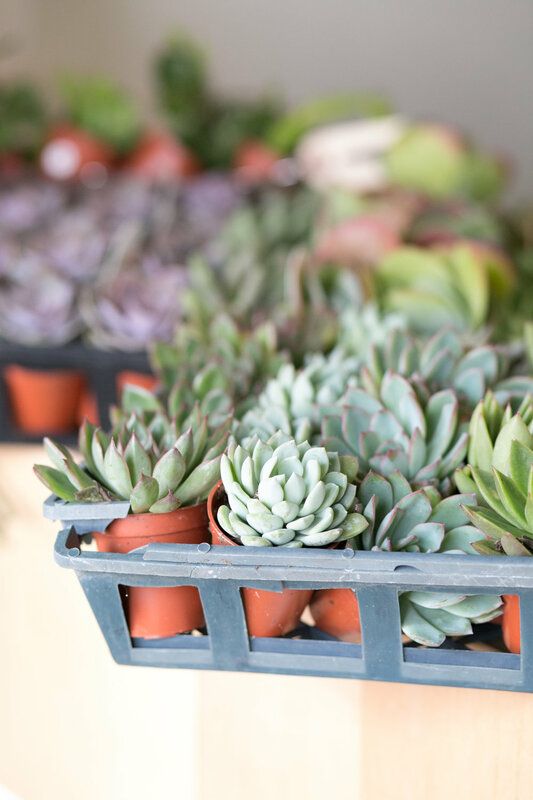 Allow The ZEN Succulent to teach at your next special event or team activity. 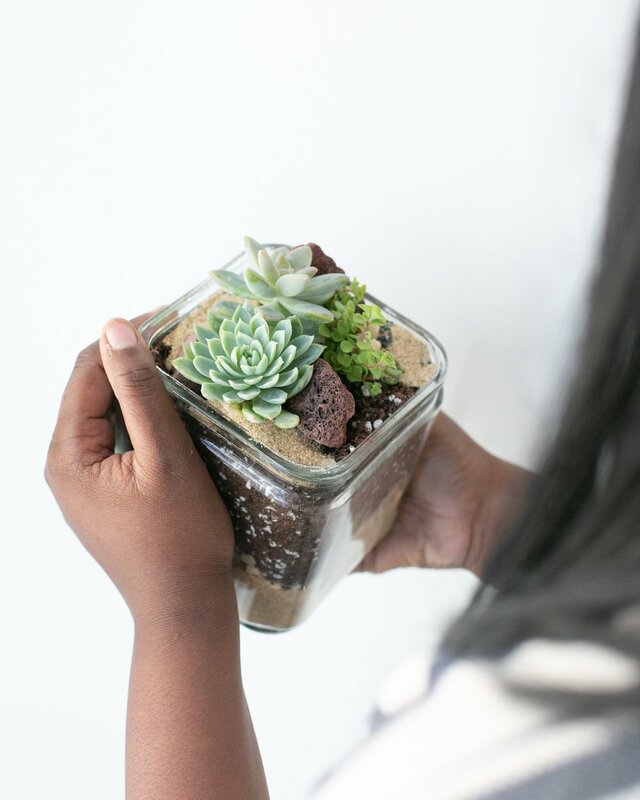 Offering a variety of unique hands on DIY plant terrarium workshops designed for beginners and experienced alike each guests leaves with their creation and all the knowledge to effortless care for the living landscape. Host your next event at either of our lushly decorated workshop spaces in downtown Durham & downtown Raleigh or book us to travel to you at no additional charge. Event include: Birthday Celebrations (for any age! ), Group Outings, Corporate Events, Team Bonding, Engagement Parties, and Showers. 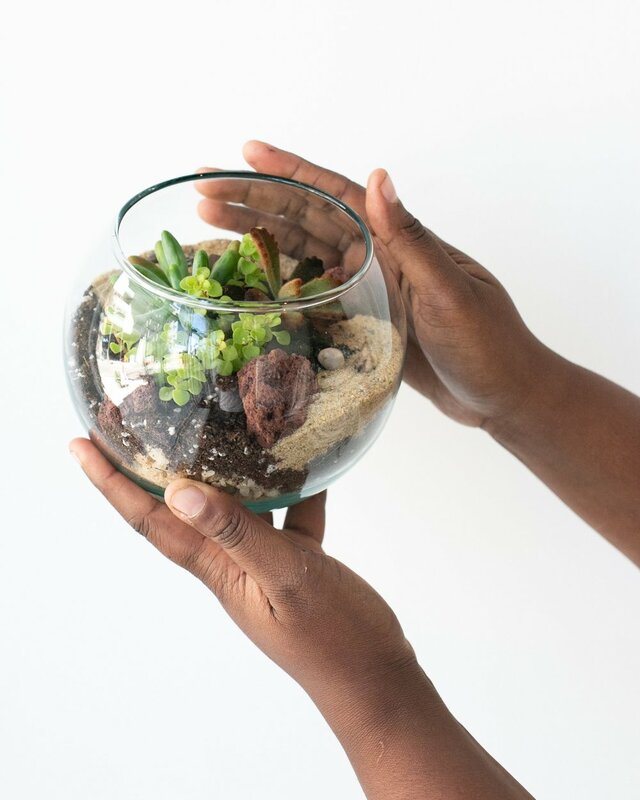 Starting at $35 a guest, each of The ZEN Succulent plant terrarium workshops last between 1 - 2 hours and includes all materials to successfully create a living terrarium - featuring North Carolina grown plants in premium terrarium glassware. We require a minimum of 8-12 students depending on the course and a $75 nonrefundable fee per class that covers teaching and staffing the course, along with all set up & clean up. 4-hour private Event rental is available at of either of our storefronts. Group discounts available for all workshops of 30+ guests with a special discount for University / College Student Organizations, University Administration or Departments. Please review our Private Workshop and Event Booking Policy before booking for specific details regarding your booking . A variety of North Carolina grown greenery in varying colors, heights, and textures. Pricing begins at $400, with an added charge of $35 per person beyond the minimum of 12 guests. Each private workshop has a minimum of eight (8) - twelve (12) guests required. Should the final count fall beneath the workshop’s guaranteed number, the difference (calculated as price per person) will be added as a room charge. Please note books need to be made at least 2 weeks in advance of booking date, otherwise an additional fee may be applied. If you would like to host your event at a location other than The ZEN Succulent Durham or Raleigh, please enter the address here. I have read the Private Workshop and Event Booking Policy. I understand that completing this form does not guarantee my reservation; my reservation is only confirmed when my non-refundable deposit of $75 has been paid. Thank you for filling out the Private Class / Event Booking Form - you will hear from a member of our team within the next 48 hours to confirm the details of our event, pricing and arrange for your deposit. Please note that your booking is not confirmed until your deposit has been paid. Pricing begins at $430, with an added charge of $38 per person beyond the minimum of 12 guests. Each private workshop has a minimum fromeight (8) - twelve (12) guests required. Should the final count fall beneath the workshop’s guaranteed number, the difference (calculated as price per person) will be added as a room charge. Pricing begins at $400, with an added charge of $40 per person beyond the minimum of 10 guests. Pricing begins at 495, with an added charge of $45 per person beyond the minimum of 11 guests. Pricing begins at $440, with an added charge of $55 per person beyond the minimum of 8 guests. Pricing begins at $560, with an added charge of $70 per person beyond the minimum of 8 guests.